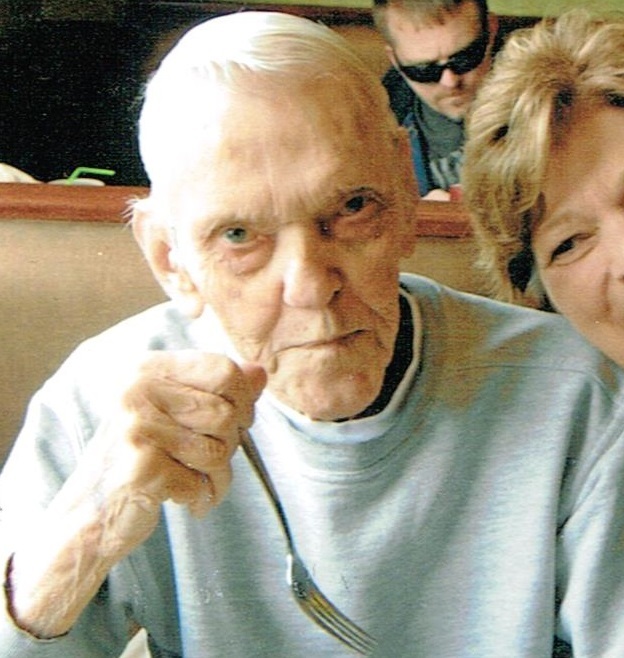 Mick McCauley, 82, passed away on Wednesday November 27, 2013 at the Dougherty Hospice House in Sioux Falls. Mass of Christian Burial will be Tuesday, 11:00am at St. Katharine Drexel Catholic Church in Sioux Falls. Burial will be held at St. Michaels Cemetery in Sioux Falls with Full Military Rites. Visitation will be Monday from 5:00pm to 7:00pm at Barnett-Lewis Funeral Home in Sioux Falls. A Scripture Service will begin at 7:00pm followed by a Rosary. He was born on July 3, 1931 in Sioux Falls, S.D. to Fred and Hazel (Wait) McCauley. Mick attended school in Sioux Falls and graduated from Washington High School. Mick served in the United States Navy on the USS Caperton and was Honorably Discharged on November 8th 1954. He was united in marriage to Bonnie Kelly on December 20th 1953 at Little Flower Catholic Church in Sioux Falls, S.D. Mick worked for Northern States Power for 30+ years. After retiring Mick did maintenance for Woods Fuller Shultz and Smith for several years and worked at the Sioux Falls Regional Airport as Maintenance Supervisor retiring after 15+ years. Mickâ€™s passion was his children, grandchildren and great-grandchildren. He was an avid Notre Dame and New York Yankees fan. He loved Coca-Cola, crossword puzzles, jigsaw puzzles and Oreo cookies. Honored for having shared his life are his daughter: Susan DeSchepper (Buck), Sioux Falls; his son James McCauley, Sioux Falls; eight grandchildren: Katie DeSchepper, Michael McCauley, Marie Franke, Melissa McCauley and Meghan McCauley-Loof, Catherine, Michael and Carrie Danielson, and eleven Great- Grandchildren; brother: Richard (Beverly) McCauley, Sioux Falls; sisters: Susan (Dale) Smith, Sioux Falls, June McCauley and Carol (Brent) Hart, both of Highlands Ranch CO; a very special daughter-in-law: Deby McCauley and many nieces and nephews. Mick was preceded in death by his wife Bonnie, daughter Mary Danielson, his parents and a brother Milton McCauley. A heartfelt Thank you to: Dr. Michael Stassen, Nurse Amy Hammer and the Dougherty Hospice House.